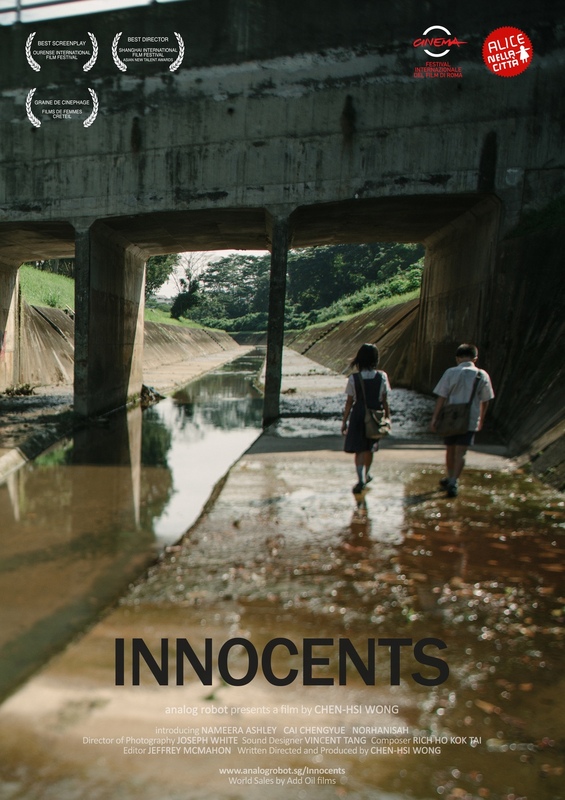 INNOCENTS PREMIERES IN SINGAPORE AT THE ARTS HOUSE: GET YOUR TICKETS NOW! Making its Singapore premiere in September as part of Frame x Frame at The Arts House, and having recently won film director Wong Chen-Hsi the Best Director award at the 2013 Asian New Talent Awards, Innocents is a delicate coming of age story about Syafiqah, a young girl who, after being abandoned by her parents, befriends an ostracised boy. Misunderstood and bullied, they while away the afternoons in the giant canals behind their school, carving out a world of escape. Gently immersive, the film investigates memories of childhood within the landscape of a swiftly evolving city state. Do join us in watching this beautiful and evocative slice of Singapore. "A touching film that deals sensitively with a difficult subject"
Due to popular demand, INNOCENTS will be briefly extending its run. Please watch this beautiful film with us! Innocents premiered at the Rome International Film Festival in November 2012, opening the competition section Alice Nella Citta. The film was also selected for the Jeonju International Film Festival in April 2013 and was most recently shown at the prestigious Shanghai International Film Festival where film director, Wong Chen-Hsi received the Best Director award at the 2013 Asian New Talent Awards. Stay in touch with the latest developments and help us spread the good word on Facebook!